AeroVironment Awarded $17.4 Million Puma AE Unmanned Aircraft Systems Foreign Military Sales Contract for United States Ally | AeroVironment, Inc.
RIO DE JANEIRO--(BUSINESS WIRE)--Apr. 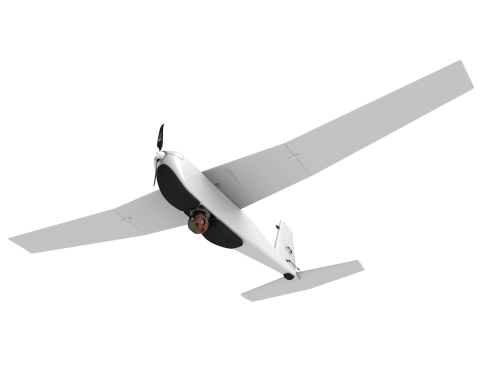 2, 2019-- LAAD 2019, Booth #O.70, Hall 4, US Pavilion – AeroVironment, Inc. (NASDAQ:AVAV), a global leader in unmanned aircraft systems for both defense and commercial applications, today announced it received a $17,356,084 firm-fixed-price contract in March 2019 to provide Puma™ AE II small unmanned aircraft systems (UAS), training and support to an allied nation. Delivery is anticipated by September 2019. The RQ-11B Raven®,RQ-12A Wasp® and RQ-20A/B Puma™ comprise AeroVironment’s Family of Small Unmanned Aircraft Systems. Operating with a common ground control system (GCS), this Family of Systems provides increased capability to the warfighter that can give ground commanders the option of selecting the appropriate aircraft based on the type of mission to be performed. This increased capability has the potential to provide significant force protection and force multiplication benefits to small tactical units and security personnel. AeroVironment provides logistics services worldwide to ensure a consistently high level of operational readiness and provides mission services for customers requiring only the information its small UAS produce. AeroVironment has delivered thousands of new and replacement small unmanned air vehicles to customers within the United States and to more than 45 allied governments. AeroVironment (NASDAQ:AVAV) provides customers with more actionable intelligence so they can proceed with certainty. Based in California, AeroVironment is a global leader in unmanned aircraft systems and tactical missile systems, and serves defense, government and commercial customers. For more information visit www.avinc.com.